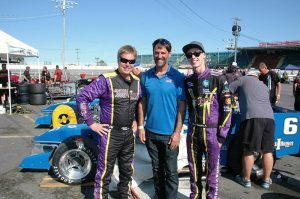 The biggest race day of the year for Novelis Supermodifieds didn’t disappoint Sunday, September 4, during the running of the 60th Budweiser International Classic 200 at Oswego Speedway as the John Nicotra Racing team etched their name a little deeper into the historic lakeside oval’s record books. 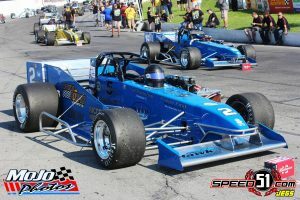 Nicotra’s trio of Royal Purple / G&I Homes / Riccelli Northern-backed Hawk Jr Chassis all placed in the top five in the 200-lap grind with Otto Sitterly finishing P3 in the No. 7, Dave Shullick Jr. P4 in the No. 2 and Davey Hamilton P5 in the No. 6. 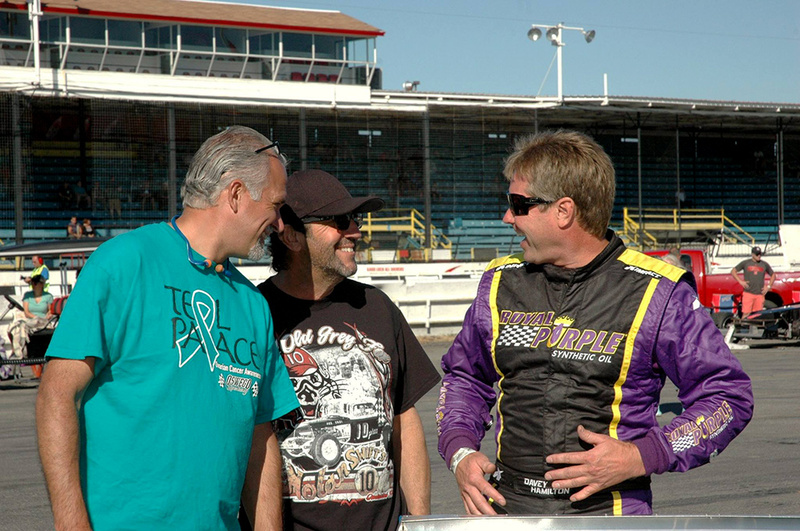 While all three cars finishing top five is certainly a feat for the ages, it did not completely erase the disappointment for the team and specifically Shullick, who led the race from lap 115 on and appeared destined for his first International Classic crown and first non-winged supermodified victory until – on the final lap – his car began to run dry on fuel, allowing Jeff Abold, Michael Barnes and Otto to overtake him on the final circuit and relegate the defending ISMA champion to a P4 finish. 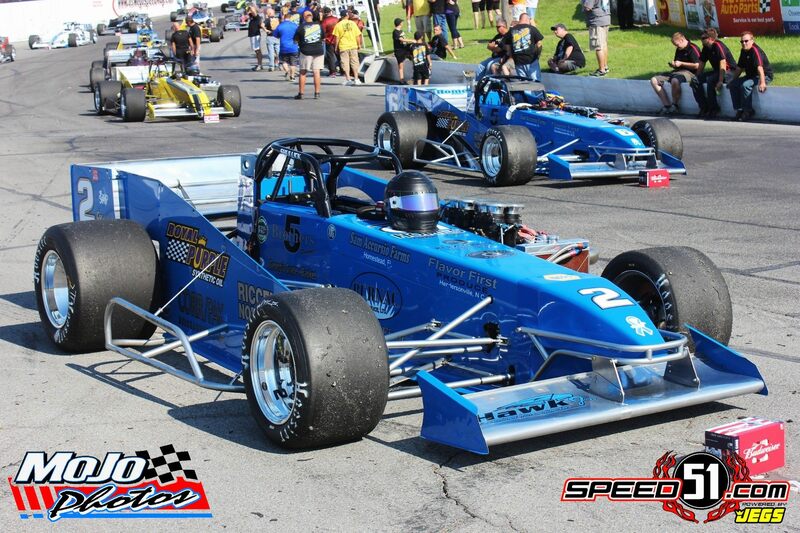 Shullick led the Nicotra Racing charge all weekend while driving the Independent Front Suspension Hawk chassis. The “Shoe2” would drive to a P4 qualifying effort just ahead of teammate Davey Hamilton (P5). Otto would time trial and start eighth. Once the Classic went green, Shullick would settle into P2 behind early leader Pat Lavery before Keith Shampine’s No. 55 passed both Shullick and Lavery on lap 15 to move into the lead. Dave quickly moved past Lavery to move back into P2. He’d proceed to follow Shampine for the next 120-plus laps, maneuvering through lap traffic and waiting out several caution flags while riding in second. A close race up front between Shampine and Shullick turned into a Shoe2 runaway on lap 144, when Shampine would slow due to running out of fuel, giving the lead to the Nicotra 2. The final quarter of the race would see Shullick set sail out front, running away from the pack and appearing an easy winner until running out of fuel on the final lap. Abold would score the win ahead of Barnes, followed by the three Royal Purple Nicotra Racing machines. 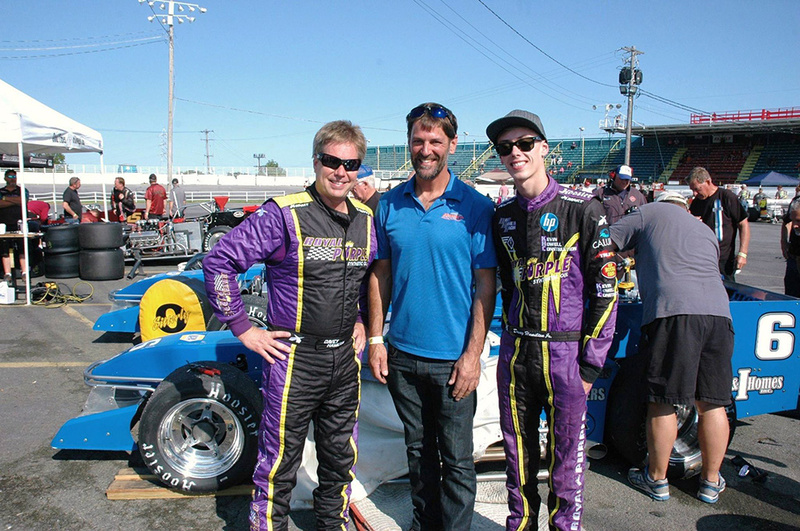 Otto offered his thoughts to Oswego County Today’s Chris Porter after the race. “I think that I got into DJ early in the race when he did a crossover and (contact) bent the right-front nose wing, so we were kind of snappy loose when the car would push in the center (of the corner), and when I tried to gas it up it would get really loose, especially toward the end of the race. “We’re all pretty disappointed with the 2 car running out of fuel. I saw the fuel pushing out of the car early, and I knew it was going to be a bad situation, and it was,” Sitterly commented. Indianapolis 500 veteran and 1997 Classic winner Hamilton talked about his quiet but solid ride to round out the top five. “We just missed it. We have three great racecars and the guys all do a great job, and Shullick had it; we got his car just right and Otto’s car was too tight and mine was too loose, so we were all over the map and unfortunately we just couldn’t bring one home. We wanted one of those blue cars in victory circle but we just couldn’t get it done today. It’s always fun up here. We got third, fourth and fifth for the team, but we wanted another trophy,” Hamilton said. Nicotra Racing is proud to be sponsored by G&I Homes, Riccelli Northern, Royal Purple Synthetic Oil, 5 Brothers Produce, Burnac Produce Limited, Provincial Fruit Co., Flavor First, Georgia Crate & Basket, Rite-Pak Produce, Quality First Produce, Sam Accursio Farms, Ritz-Craft Homes, Torbert Farms, Elite Harvesting, Green Bean Packers, Housby and Sunrise Growers.